The home infusion therapy devices market in North America is anticipated to grow from an estimated US$ 6,880.2 Mn in 2014 to US$ 11,666 Mn by 2020 at a CAGR of 9.2% during the forecast period. 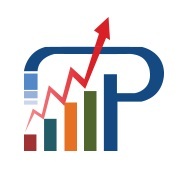 New York, United States - July 24, 2015 /MarketersMedia/ — According to a new market study published by Persistence Market Research (PMR), titled “Global Market Study on Home Infusion Therapy Devices: Needleless Connectors to Witness Highest Growth by 2020”, the market will reach a valuation of US$26,747.8 million by 2020 increasing from US$15,905.1 million in 2014. Expressed in CAGR, the market will grow at 9% from 2014 to 2020. Home infusion therapy involves intravenous administration of medicines to patients using needle and catheter in a home setting. The treatment is prescribed by physicians and administered by trained personnel. Home infusion therapy is used for diseases that are unresponsive to oral medication or if the patient fails to respond to oral medication after a certain stage. Home infusion therapy is used for the treatment of diseases such as cancer, gastrointestinal diseases, diabetes, dehydration, cystic fibrosis, and acute infections. The therapy is suitable to administer drugs, nutrients, antibiotics, and other fluids into the veins follow a schedule as prescribed by the physician. As such, time spent by patients in hospitals, nursing homes, or clinics is reduced considerably and helps in faster recovery due to the convenience and comfort of the home environment. According to the report, home infusion therapy is significantly cost-efficient than hospitalization, which is the major reason for rising demand for home infusion therapy devices. Also, ever increasing geriatric population worldwide that would need long-term medical solutions holds promising for this market.Moreover, increasing the prevalence of chronic diseases, technological advancement in infusion devices, and newer applications of home infusion therapy devices boosting the growth of the market. However, patient safety risk due to mishandling of devices or errors using infusion devices pose a challenge for higher adoption of home infusion therapy devices and in turn to the overall market. Also, insurance coverage and unfavorable reimbursement policies are some other challenges hampering the growth of this market. But, an increased adoption by patients specialty infusion therapy opens prospects for the home infusion therapy devices market. Also, increasing the number of mergers and acquisitions, growing the use of ambulatory infusion pumps and product innovations are some of the trends likely to come to fore in the market in coming years, as noted in the report. In North America, the increasing patient pool with chronic diseases such as AIDS, cancer, and diabetes is driving demand for home infusion therapy devices. Also, increasing geriatric population is supporting the growth of the market. In Europe, the home infusion therapy devices market is expanding due to large geriatric population base and growing popularity of procedures performed in non-hospital settings. Furthermore, the high prevalence of chronic diseases such as cancer, AIDS, and diabetes that would need home infusion therapy are fueling demand for these devices. As per statistics from National Center for Biotechnology Information (NCBI)- a subsidiary of National Institute of Health, in 2012, about 3.4 million new cancer cases and 1.7 million deaths due to cancer were recorded in Europe. Furthermore, as per data published by European Diabetes Leadership Forum in 2012, almost 35 million adults suffer from diabetes in 2011, which is estimated to increase to 43 million by 2030. This will collectively lead to higher demand for home infusion therapy devices in the European region. Persistence Market Research (PMR) is a U.S.-based full-service market intelligence firm specializing in syndicated research, custom research, and consulting services. PMR boasts market research expertise across the Healthcare, Chemicals and Materials, Technology and Media, Energy and Mining, Food and Beverages, Semiconductor and Electronics, Consumer Goods, and Shipping and Transportation industries. The company draws from its multi-disciplinary capabilities and a high pedigree team of analysts to share data that precisely corresponds to clients’ business needs. Organization: Persistence Market Research PVT. LTD.